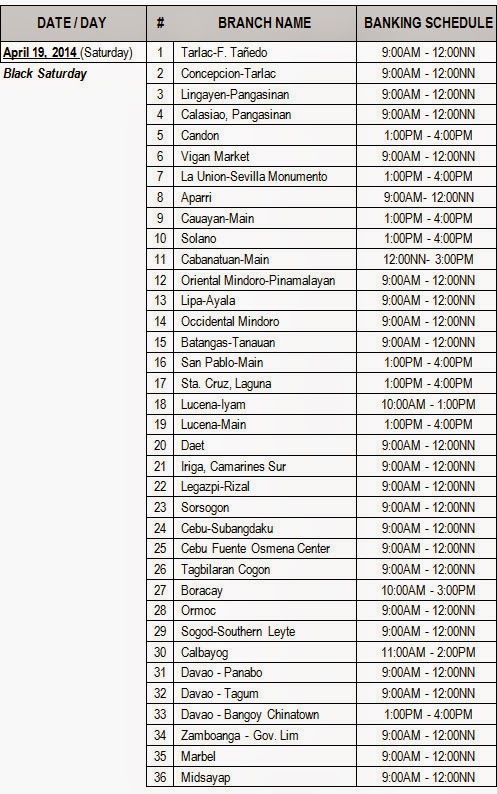 Manila, Philippines - Metropolitan Bank and Trust Company (Metrobank) released Holy Week 2014 advisory for their banking hours and schedule per branches nationwide. Metrobank said that it will open strategically located branches nationwide to serve the banking public during the Lenten season. 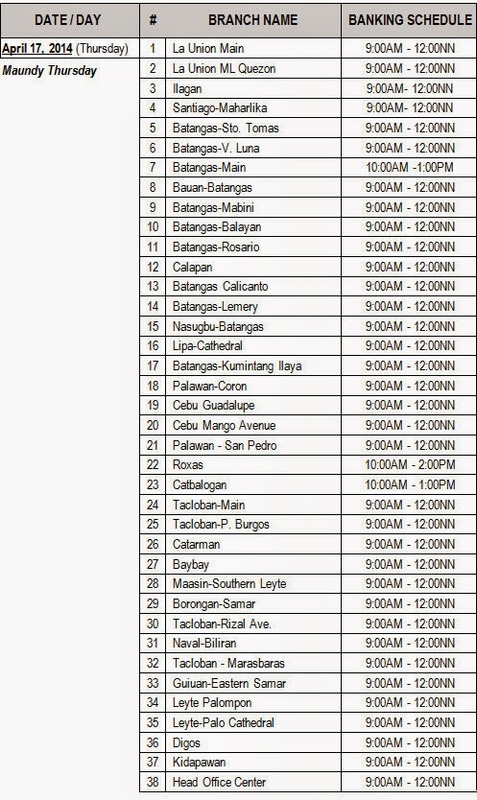 Please see below for the complete list of branches. "Metrobank ATMs all over the country are available for easy access to cash and facilitate bills payment transactions. The Bank’s ATM monitoring systems are in place to ensure that ATM will remain accessible to customers. ", the bank said in a statement. In addition, the Metrobank Customer Care team will be on stand-by during the Holy Week to address concerns of customers. You may call Metrobank 24/7 Customer Hotline 8700-700 for remittance inquiries and transaction, and other details. For provincial customers, please call toll free 1-800-1888-5775.